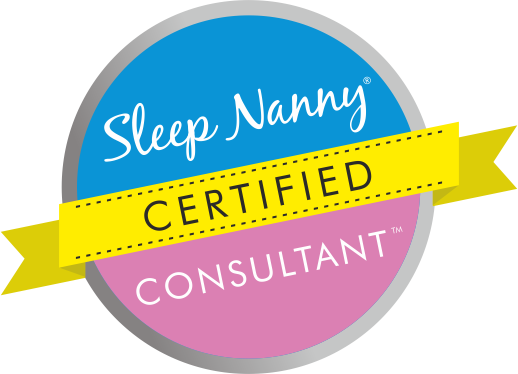 Become a certified Sleep Nanny Consultant & own your own business changing lives. and build your own successful consulting practice. Do you want to work from home to be with your children? Or have the freedom to be there for the school run while still having a career and that sense of achievement that's yours? The Sleep Nanny® was built by a mum who understands this only too well. This is YOUR opportunity to do something special for yourself and your family. As a Certified Sleep Nanny Consultant, you can provide a service that compensates you well for your time and there are no limits! If you just want to help one or two families each week, that's fab. If you want to help more, you'll earn more - simple! No-one sets your salary or places a cap on your income. It's in your hands. We truly believe this is, hands down, the single most rewarding job in the world! If you have been through the trials of parental sleep deprivation, you'll know how grateful you'd be to have someone support you and make it all better. When you give a family back their sleep, you save marriages, avert accidents, relieve depression, help little ones thrive and revive happiness - FACT. We are confident you'll find The Sleep Nanny Certification training programme to be second to none with the most comprehensive syllabus on the planet. You'll feel fully informed, equipped and empowered to go out and make your difference. What's more, no other certification programme offers the high level business training and coaching that we provide. This is not just at the start but continued training every month as your business progresses. 92% of infant sleep issues are behavioural (not medical) and can be solved by trained sleep consultants. 1 in 4 children will have a behavioural sleep problem. Child sleep disorders are reported to cost the UK alone £40bn per year! Parents are confused as many solutions are counter-intuitive. Experts are needed. The Sleep Nanny® founder, Lucy Shrimpton is your trainer and mentor. Lucy shares with you EVERYTHING you need to know to be able to confidently help sleep deprived families get their lives back! Lucy's has completed RCN endorsed and RCPCH accredited training as a sleep practitioner in the UK as well as two additional training programmes in the USA. She is also best selling author of The Sleep Nanny System. A sought after keynote speaker, regularly featured in the press and interviewed for TV and radio, she has rapidly become the 'go-to expert' on infant sleep. A mother of two who has lived and breathed intense parental sleep deprivation herself, she empathises with the families she serves. Lucy has an unstoppable passion to make a difference. A successful business requires mentorship - we've learned the best so we can provide the best to you. "An accumulation of all I have invested and acquired, now broken down into an accessible training programme that spring boards you straight into a fully operational business as a sleep consultant, at a much lower investment for you. I've done it, now I'll teach you how to replicate it for yourself"
Business Setup - We provide system setup walkthroughs for email, appointment booking and client management systems so they all work together and save you time! Course content is provided each week via video training and a live class with your trainer. You will also receive a comprehensive manual to assist your learning. A weekly quiz will monitor your progress. Join us in the graduate programme and benefit from continued certification and training in business mindset, strategy, systems and processes so you are equipped to thrive. You will not find any programme quite like this! Even a course in just the sleep expertise alone can cost you more than this complete investment. Then you'll need to build a business from scratch which will require a far larger investment on top! Learn from someone who has already done the hard work and is ready to teach you how to be a success. This amazing opportunity gives you a virtual business in a box. Everything has been tried and tested so you get the most effective systems and processes to run a successful practice from day one. If you go it alone, we'll have shown you how. For Graduate Program subscribers, all the templates you need are ready to transplant into your business! All you have to do is apply the knowledge you gain to serve the families who need you. Join our Graduate Program: Be your own boss but never get lonely with your team on hand daily. With ongoing support and training, you are never alone. You own your own business but you have continued mentorship and a team around you to ensure you never get stuck and you enjoy the team spirit of the positive and highly engaged Sleep Nanny community. *If you are not fully satisfied with the training programme within the first three classes, we will allow you to exit the programme before week four and fully refund you, no questions asked. *See full Terms & Conditions for details. It doesn't stop there, we've more for you! Certified Sleep Nanny Consultants will be welcomed into a private support community. Tap into the extended expertise of the whole team. When a client chooses to work with you, they have the added value of the community you belong to. Every week we have a supervision call to coach you on your current cases. We all receive a curve ball once in a while but you're never alone. Just hop on the call and we can get our heads together. We also share additional ad-hoc trainings with you on current topics and keep your knowledge up to date. You can have extensive knowledge and understanding about infant sleep and be fully equipped to serve families BUT without a business strategy, marketing systems and a 'road map', your expertise will go nowhere! We recognise how vital this is to having a successful business so we decided to give access to Lucy's business trainings to bring you the best mentorship package and help you to have a wildly successful business. We email you to arrange an interview with you. You have nothing further to pay or agree to until you are offered a place on the training course. If you are not successful in securing a place, your application deposit is refunded to you. You'll have 8 weeks of online learning with weekly live classes online with your trainer. You need to complete your pro-bono cases and submit your final exam in order to get your certification. This is up to how much you want to work. You can take on as many new clients each week as you can accommodate in your diary. The Sleep Nanny® does not guarantee any level of success or income from the training, certification or mentorship provided. Each Consultant’s income depends on his or her own efforts, diligence, and skill. We guarantee we will give you the tools and training. If you implement all tools and strategies effectively and consistently, you should to be able to confidently maintain a flow of clients, however this is up to you and we do not guarantee your success. We have found there is more than enough sleepless families around the world to not worry about competition. The more Certified Sleep Nanny Consultants there are, the more visible you will all become. This will just further position us as the 'go-to experts' in this field. Yes. You can complete the training in your spare time. You will only need around 3 hours each week to work through your training course - We designed it that way to specifically accommodate parents or those wanting to do this alongside an existing career. You can then work as much or as little as you like once you are certified. You may just want to do some evenings and weekends or you might work a few days per week. If you want to do this full time, that's fine too! This is an exclusive training course. At time of writing this, we can find no other company that offer the extent of comprehensive upfront and ongoing training that we provide. We are partnered with a business coaching firm (the world's no1 business coaching firm too)! We have been awarded the OCN London Quality Mark for our training course as well as CPD certification. Why will parents want me over the original Sleep Nanny? You will be the only option for parents to have one-to-one help with their sleep challenges using The Sleep Nanny® sort after approaches and techniques. The Sleep Nanny® founder, Lucy will only be available to parents for paid support via group membership and at live events or occasional VIP programmes. Parents will want you because you will be the right fit for them. People connect with people. The Sleep Nanny® herself is not right for everyone! We will teach you how to position yourself appropriately to attract the clients that are right for you - more on this in training! If you are accepted through the application process, you can enrol on our next academy. Join us on a webinar to find out more. Does the training hold any recognised accreditations? We are proud to have been awarded the OCN London Quality Mark for our training course. We are CPD members and our trainings have been certified. Those completing our training will receive a CPD certificate with continued professional development points. If successful, you can enrol and get started!